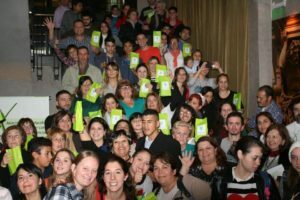 AAPIDP (PID patients associations from Argentina) celebrated World Primary Immunodeficiencies Week with a national meeting, on April 30, in Buenos Aires. Around 150 patients and families attended not only from Buenos Aires but also from different parts of the country such as La Plata, Santa Fé and the South of Argentina. The meeting started with a training workshop about immunoglobulin infusion conducted by two nurses from Prof Juan P. Garrahan Pediatrician Hospital specialised on PIDs. In the second part of this meeting participants had the possibility to “Talk with the specialists, question and answers”. AAPIDP is very proud to have gathered nine immunologists from different public hospital of Argentina. 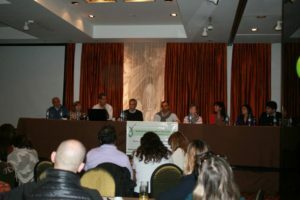 Four of them are adult immunologists, (Dr Liliana Castro Zorrilla, Dra Leila Ferreira, Dr Gustavo Vijoditz and Dr Diego Fernández Romero) and five pediatricians (Dr Matías Oleastro, Dra Diana Liberatore, Dr Miguel Galicchio, Dr Claudio Cantisano and Dra Daniela Di Giovanni). Several issues were discussed such as transition, general aspect of care, hygiene, immunoglobulins, vaccines, insurance and pre-natal family counseling, etc. Children throughout the event were in another room in a specially designed art workshop and magic show. AAPIDP wishes to thanks IPOPI, CSL Behring, Grifols, Hemoderivados UNC and ARCOR for their sponsorship.